To begin writing without an idea of the ending of my story is like driving on a deserted road at night in a car with no headlights. Knowing how my novel will end helps me remain focused throughout the writing process. Now, my ending doesn’t have to be etched in stone, but I should have some idea of the ending. However, using an ending for an ending’s sake would undermine my process as well. Ambiguous endings are just as detrimental to the writing process as not having an ending at all. An example of an ambiguous ending would be something like: Vanessa knew what she had to do: let go, and allow Rick to love her. That’s not a clear ending. The solution is to end on an event or physical action that expresses that idea. Emotionally, end on a note that expresses the fact that she has let go. Something as simple as an embrace between Vanessa and Rick with her crying is both a physical and emotional ending that could work, especially if Vanessa has refrained from having any physical or emotional contact with Rick throughout the story. Of course I can build up to that moment throughout the story. But that’s the point. I have something tangible that I can build towards while writing my story. Now I could create all kinds of physical and emotional tension as I build towards that ending. 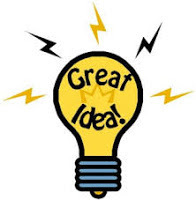 A good rule of thumb in trying to come up with an ending before I write is to start with a premise and end on a conclusion that opposes that premise. For example, if I want to do a story about a bright, beautiful recent med school grad who has never had a boyfriend (something she’s sworn off since she witnessed her father cheating on her mother years ago with her grade school teacher), then my premise could be something like: Love will never find a place in Amy’s heart. That is a premise, and the end will ideally confirm or refute that theory or premise. So, a simple ending could be Amy marries Mark. Notice how the ending is tangible: marriage. Here are some other examples of endings: Chloe and Bill make love, Jason proposes to Erin, Lisa arrives in Paris where Blake is waiting for her, Nicky introduces Rob to her parents, Marley and Eric take a vacation to the Caribbean after she’s informed that she no longer has cancer. Those of course can be fleshed out in more detail, but those are concrete events that can signal a story’s ending. Notice how they can guide the writer from the beginning. 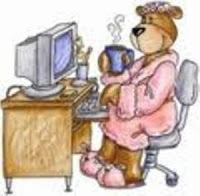 How I might look writing my novels, coffee in hand. This story begins in a small Georgia town in 1887. Mara O’Sullivan is awakened from sleep by a barely discernible rustling sound. Her life is about to change. Mara was raised by her mother, a town prostitute. The fact that Mara’s mother had sheltered her daughter and that Mara herself had never taken up the trade made no difference to the town folk. Though she faced the disdain of the “proper” people, she, as her mother had been, was a kind and generous person who valued right over wrong. When she witnessed a bank robbery she did the right thing, she identified the outlaws to the sheriff. This act put her life in danger and threw her into a desperate flight to find safety. On this fearful journey she encounters a half-sister and a niece she never knew she had. She learns about her father that was devoid of fatherly love toward any child not born a boy. It was easy for her to love her half-sister, Amanda Eppes, and her own sweet and intelligent niece, Iris Grace. Mara learns Amanda is on her way to Montana Territory to become a mail-order bride. Mara takes no time at all to make up her mind about what she wants to do. She is faced with a chance to have a real family. Changing her own destination, Mara is thrilled with the notion they can live close to one another and be a help to each other. The two sisters make plans for the future and look forward to a family neither had ever known. Sadly, their plans are interrupted when Amanda, the sister Mara had only begun to know, dies suddenly. On her sister’s deathbed, Mara promises she will take Amanda’s place. She will pretend to be Amanda and Iris will become her daughter. She prays the plan is solid and the men who want her dead will never find them. Her plans become salvation not only for herself but for her niece, now daughter, as well. She determines she will marry this unknown rancher. She will be the best wife and mother she can be. Most of all, she will keep Iris close and provide for her a safe and happy home. 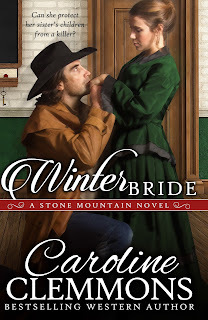 Mara and her new daughter continue on the journey to Montana Territory where she will meet Preston Kincaid for the first time. 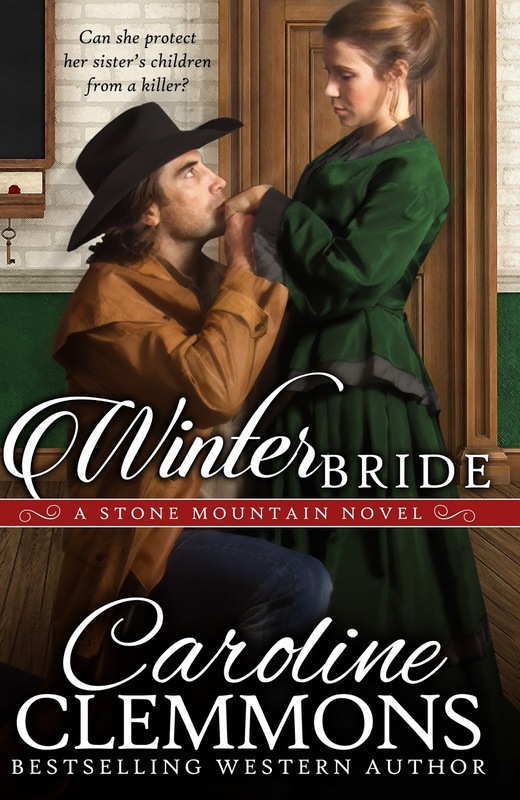 She marries this man she does not know and soon realizes the deception she thought would keep herself and her daughter safe has become a threat to all she holds dear. I just couldn’t put this story down. I love the way Ms Clemmons weaves a story together. These characters will wiggle their way into your heart, especially little Iris. If you are a sweet romantic at heart, with a bit of daredevil and adventurer mixed in, you will love this story. My Review of “Tarnished Remains”, second book in Pat Jager’s “Shandra Higheagle Mysteries"
I just finished “Tarnished Remains”, second book in Paty Jager’s “Shandra Higheagle Mysteries”. 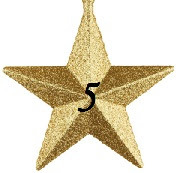 A Big 5 Stars! This story is a murder mystery set in Idaho on Shandra Higheagle’s farm. Shandra grew up with little memory of her father who died in an accident when she was a small child. Thanks to her grandmother she grew up understanding her Native American heritage. This is a part of the story I really liked, after her grandmother’s death, her grandmother still visited Shandra in her dreams. Shandra accepted that she dreamed of her grandmother and the visits seem to help her through the rough patches in her life, which includes solving murder mysteries, but she still feels the visits are actually her mind‘s own way of working through the issues. Well, it seems Shandra has a knack for finding dead bodies. In Tarnished Remains Shandra unearths a body while digging on her own property to retrieve the clay needed to fashion her pottery. Can you imagine just digging away in your garden and unearthing an old boot with the foot still in it?! Detective Ryan Greer is the first person to come to her mind as the person to call. If you haven’t read book one in the series, she and the detective worked together before. Shandra was his main suspect in book one. This is mentioned in book two and flows with the story. Tarnished Remains is a complete story and stands on its own. So don’t worry if you haven’t read book one, it is not necessary to understand the second book. Tarnished Remains kept me on my toes. Just when I thought I knew who the murderer was, I changed my mind. I just loved the small town atmosphere and all the corky people living there. I reminded me of the small town I grew up near and went to school in. I swear, everyone in this book looked at least a little guilty at some part of the story. It had me guessing till the very end and when the true culprit was revealed it made perfect sense. I give Tarnished Remains 5 stars. It is a small town murder mystery with a hint of budding true love. There is also the dream visiting grandmother, I always love a touch of super natural, a big, lovable, and a scared of his own shadow dog, I have one of those and I Love her, Love her, Love her! A mysterious Crazy Lil, and there are corky, cranky townsfolk. What else could you ask for? I loved it. It is a stand alone story so you don’t have to read them in sequence, but if you haven’t read book one it would be great fun to read it first. My Passion's Series in Kindle Format is discounted for Christmas. Books 1 and 3 of the Passion’s Series will be on sale for 0.99 starting 12-22-15 through January 2, 16. 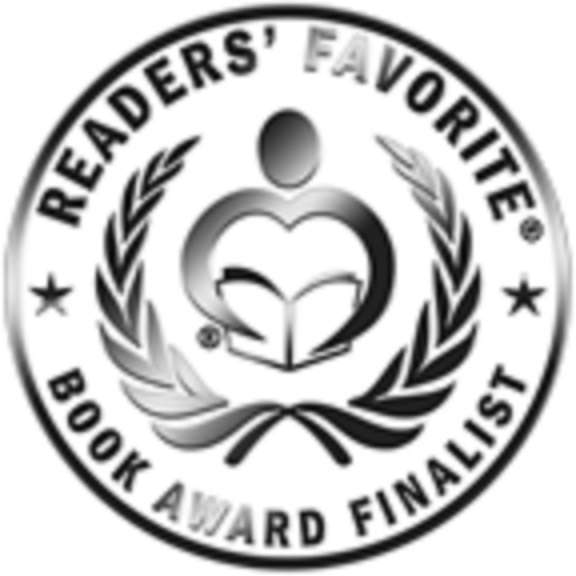 Award winning Interracial Native American Historical Romance set in the time of the classic novel, The Last of the Mohicans. 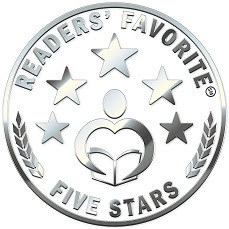 A disparity of values and intentions clouds the path for James Fitzgerald and the Cherokee tribe he loves in this award-winning historical romance. A sister to the Chief, New Moon struggles with unrelenting attraction towards James, an outsider and threat to her way of life. Is James the warrior New Moon needs him to be and can visions of passion be trusted, at all cost? Dawn's free-spirited lifestyle was like a breath of fresh air to the people in London. Passion’s Price takes place in England in the mid 18th. century. Golden Dawn is half white, half Cherokee. From her father she inherited gently curling blond hair, strikingly blue eyes and the appearance of sweet naivety. Her spirit however, inherited from her warrior mother, is that of a Cherokee warrior and is completely out of place in the sophisticated English culture. She has no problem appearing lady-like when she needs to, but late at night she dresses as a ragtag, dirty, homeless boy and fearlessly searches the back-streets and alleyways for clues leading to the identity of the person threatening the life of the man she loves. Dawn’s vision of a warehouse fire and gunshots cracking through the darkness of night has warned Dawn that her Passion will exact a Price. 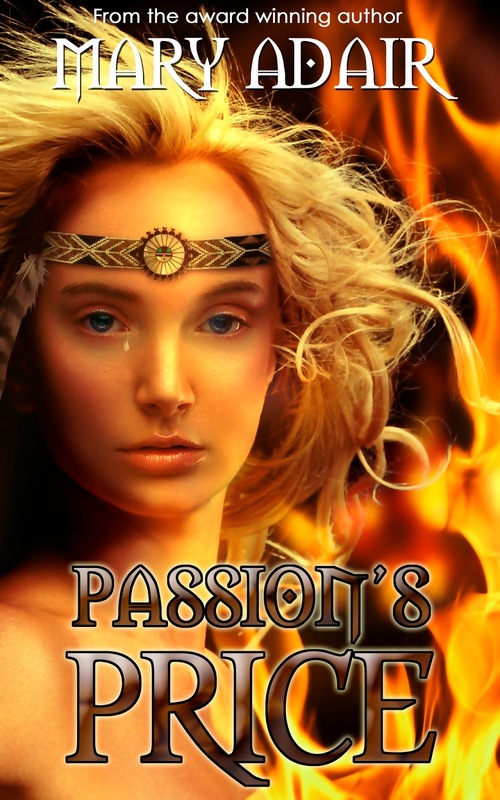 Will Passion carry her through to the end, or will she pay Passion’s Price? Ever wake up to a world you didn't know? Ever have that gnawing feeling deep inside that tells you to run but you don’t know where to hide? Maybe you are a Captured Spirit. 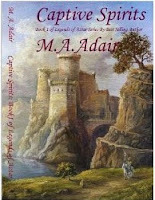 "Captive Spirits" the first book in the 'Legends of Aztar Series' by Mary Adair takes us to the planet of Aztar, a place that is never known to be at peace. There is a deep fear of those who wield mystical powers and use them for cruelty and hold people as captive spirits. There is a small belief among the people, however, that some day a savior will come and take them out of the blood and gore of war. The leaders of each region come together to try to reunite the divided people so that they can have things ready for their savior. The leaders know the battle to free the will and spirit of the people of Aztar will not be an easy one. Many will be lost and so they decree that a King must be chosen. And they choose the first King of the land, Si Volcum. 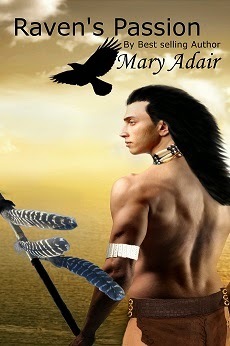 What an adventure Mary Adair has created for readers of all ages! There are enough twists in the plot and curious intrigues to keep an adult brain mulling over them as they go, with the right punches of adventure for the young adults it is geared for. This is an enjoyable read with a very fast pace. Aztar may be a planet in war but to me it is still beautiful. The way the spirit of the people continues to live and wants to be free is a beauty to me. This is a skillfully written story and I very much look forward to reading the next book in the series. I hope you have a wonderful Christmas Holiday filled with the blessings of family, faith and love. Through The Fire by Beth Trissel takes place during one of the most turbulent times of American history, the French and Indian wars. Rebecca Elliott is fleeing an abusive father and taking her sister, Kate, with her to Fort Warden. The plan is to meet up with an uncle she has not seen in many years but remembers him as a kind and loving man. As they travel by horse back through the forest. They are attacked by Shawnee warriors who are allied with the French. The battle is fierce, many men are killed, and a few are taken captive. Rebecca helps Kate to escape capture, but is captured herself by a warrior named Shoka. This battle scene reminds me of the movie version of Last of the Mohicans. Beth Trissel’s ability to bring together the sight, sound, and emotion of the scene is amazing. This scene in her story places me perfectly into the time and fills my mind with a perfect representation of how it would look and feel to be there. 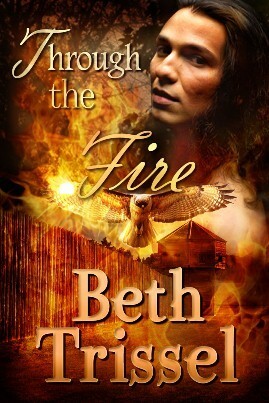 Ms Trissel’s story, Through The Fire, is not a rehash of the classical Last of the Mohicans. After that first scene, so brilliantly told and placing the reader right where she wants them, Ms. Trissel weaves a beautiful story of growing love and respect between Rebecca and Shoka. This journey through the frontier is nothing short of just plan hard for a woman raised as a Lady. But you soon learn there is more to Rebecca than just a pretty face. Her past abuse has molded her into a person determined to take care of herself and those she cares about. This inner strength helps her to survive and to help others dear to her heart to survive as well. I love when a book is so well written that it transport you right into the story and holds you captive. This book did that for me all the way to the end. Through The Fire is filled with tremendous challenges, and heroic rescues. 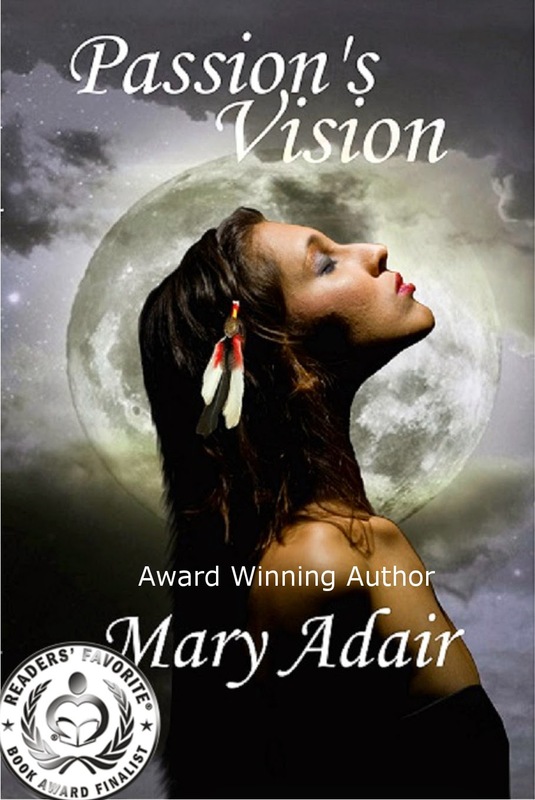 It contains a touch of Native American mysticism and ends it with a mystery. Need I say it? This story rates 5 STARS for me in all aspects, plot, strong characters, adventure, and I always get excited when an animal wanders into the story and you just know there is a special meaning. This is a heart-warming story. 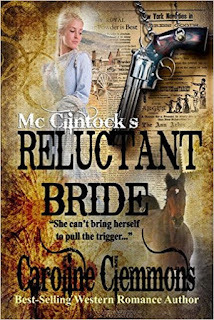 McClintock’s Reluctant Bride is book 3 in the McClintock series and is every bit as good as the books before. I love Ms Clemmons’ attention to detail and historical accuracy. The characters are well developed, the storyline well-plotted, and the ending totally satisfying. The story opens with handsome rabble-rouser, Josh McClintock, celebrating his 24th birthday with family and friends. Josh is a son of the successful McClintock ranching family. He is handsome, rich and self-assured. He suffers no loss when it comes to finding feminine companionship whenever he wants it. Everything is going his way. That is until he wakes up, half dressed, and being dragged out from under the bed of beautiful Nettie Clayton. 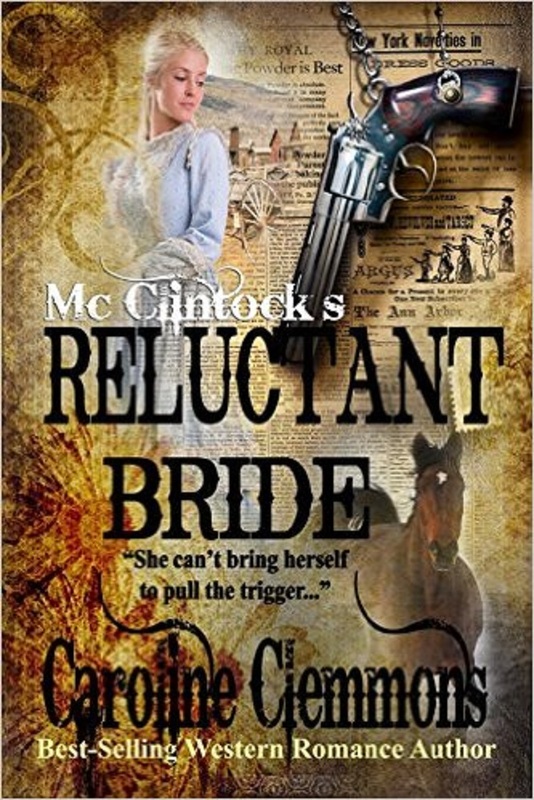 In a drunken stupor he had mistaken her house for another, left his horse in plain sight in the front yard, climbed up to the second floor, crawled into Nettie Clayton’s window and onto her bed! Worse, when he wakes he is staring up at her extremely angry father. Yep, you guessed it, shotgun wedding, loss of freedom to carouse and basically live the ideal life of the most eligible bachelor in town. However, not all is lost. Nettie Clayton may be high-tempered and demanding, but she is also unquestionably beautiful. Nettie Clayton’s life is finally coming together. Her family no longer lives in the coal mining town of Lignite, Texas. They now lived in McClintock Falls where her parents live in a modest, but beautiful home and her brother is free of the expectation of a lifetime of working coal underground. 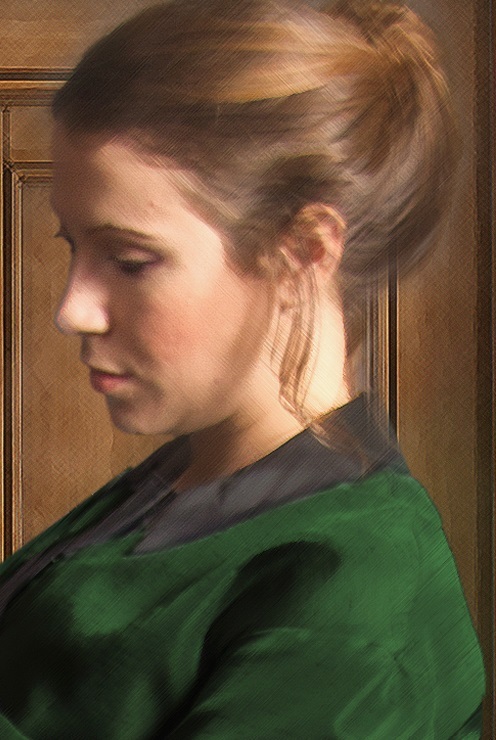 Nettie looks forward to her new position as a teacher in the local school. All is right with her world, or that was what she thought before Josh McClintock climbed into her room through a window and then passed out on her bed. This is a story of love and loss and the strength of the human spirit to overcome. I love that this story is grounded in the time of an actual event. In 1875 a Hurricane hit the Texas gulf. This story, though it is a fictional account, cast a realistic light on the devastation of such a tragic event. It also cast a light on the resilience of the human spirit and the kindness of others in a time of need. The backdrop of the Hurricane provides a powerful visual, but it is not the whole story. 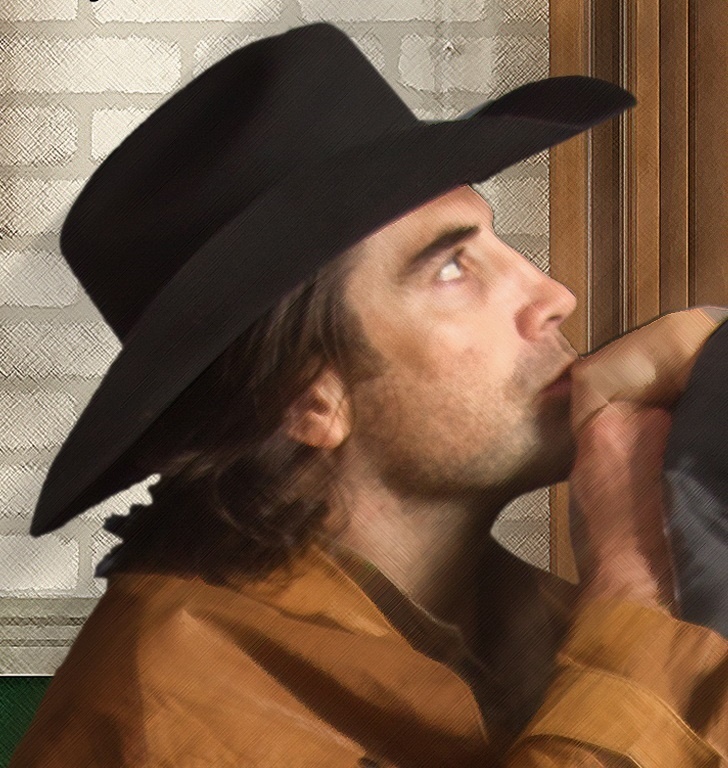 Ian Benning, rancher and Texas Ranger, lost his wife to a tragic accident. He leaves is home and travels to Houston where he takes over a case involving an international embezzler for the local authorities. Matelyn O'Donnell is in the employment of Gerard de Marceau to companion his wife, Veronique de Marceau. 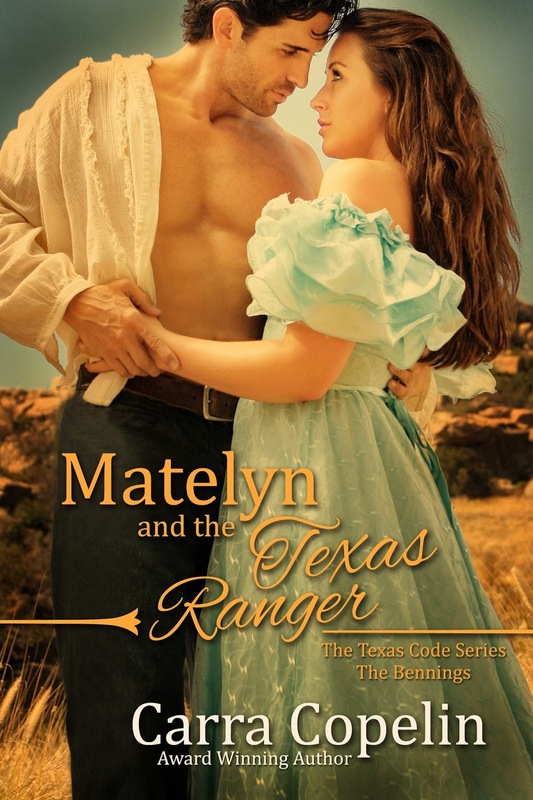 Metelyn is fond of the younger Veronique, but looks forward to the end of their journey to Texas. 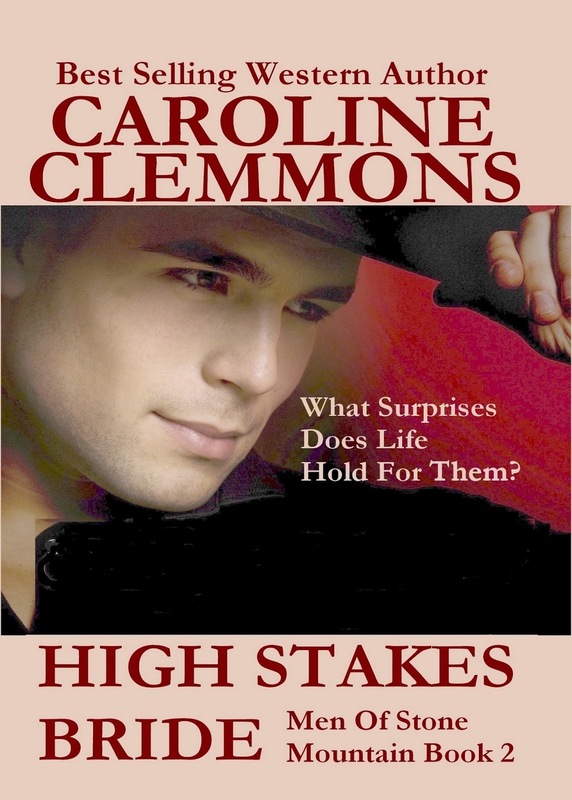 Once they arrive at Houston after traveling by ship from New Orleans she plans to travel on to Dallas where she can start a new life near her cousin Katie McTierman. We all know what happens to well laid plans. Bound by fate, mystery, deception, and a Hurricane life will play out for the two couples in a way that will keep you guessing to the end. I have a new favorite author. This story is well written, plotted to keep you guessing, and filled with the strength of human spirit. If you enjoy a story that is not afraid to address the emotion of tragedy and the ability of the heart to find love after loss you will be glad you found Matelyn And The Texas Ranger. Carra Copelin is one of Amazon's Best selling, award winning authors. Visit Carra's webpage to check out her other books. 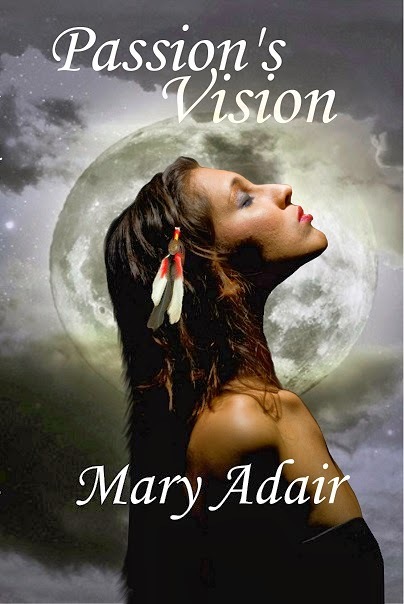 The stories I had been told about an Irish trader, James Adair, and his unusual adventures among the Native American tribes in the 1700s had so intrigued me I could hardly wait to start writing a fictional account of just such a man. I knew the woman to steal his heart had to be special. She had to be strong and determined. She had to be brave, firm in her believes, and she had to be a match for him. I knew very little about the Cherokee woman of that time. 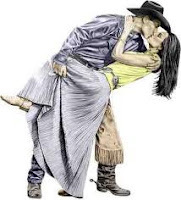 Let’s face it, a historical romance can be a bit fantastical, but I wanted the Cherokee woman that would steal James Fitzgerald’s, my fictional James Adair character, heart to be true to the culture of the Cherokee people. In James’ own writings, I soon learned the Cherokee woman and the place she held within the Cherokee culture was one of great respect and honor. Here are some interesting facts I learned not only from James Adair’s writings, but from numerous other sources. 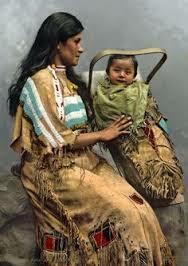 Cherokee women, it seems to me, were the core of the village. Women in Cherokee society were equal to men. The highest rank a woman could earn was the title of Ghigau, “Beloved Woman”, also translated “War Woman”. The Beloved woman sat in council as an equal. She had a voice and could vote in the General Council. 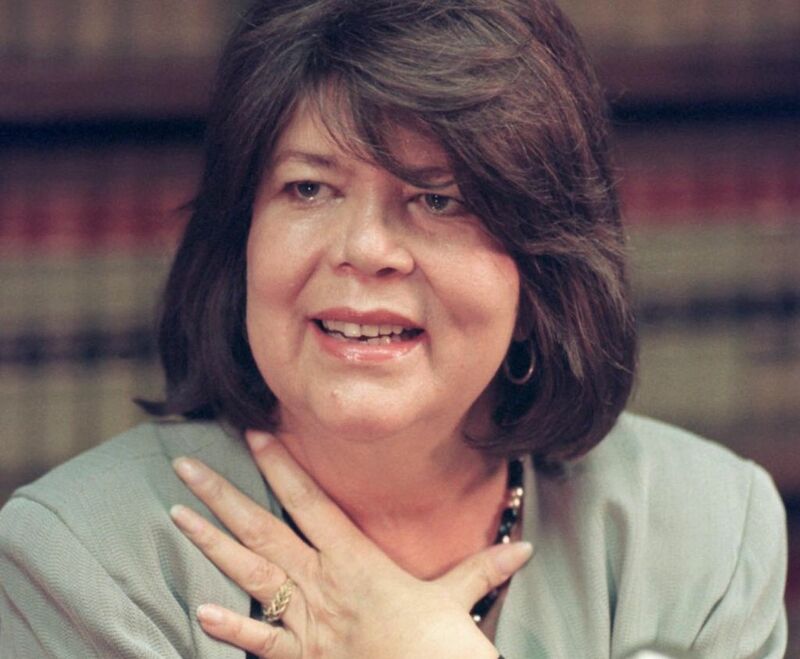 As Beloved Woman she held a place of leadership for the women’s council. She prepared and served the ceremonial black drink, and held the duty of ambassador of peace-negotiator. She could also save the life of a prisoner already condemned to be executed. Though Beloved Woman was the highest position a woman could hold, all women were respected as equals as they carried out their duties within the tribe. They took lead in the execution of prisoners, which was their right as mothers. They had the right to claim prisoners as slaves, adopt them as kin, or condemn them to death. Clan kinship followed the mother’s family and it was the duty of an uncle on the mother’s side to teach a son how to hunt and fish and perform certain tribal duties. Children were born into the mother’s tribe, not the father’s. The clan, in Cherokee society, was your family. Marrying within your clan was strictly prohibited. However, outside of her own clan a Cherokee woman had full right to marry any man she chose, be he Beloved Warrior from her tribe, a warrior outside her tribe, trader, or frontiersman. Women were totally free to choose. Women owned the home and the furnishings. If the man she married turned out not to be the man of her dreams she was free to divorce her husband by placing all his things outside the house. Also on her list of duties, women cared for the young, cooked and tended the home as well as the fields. She wove baskets, tanned skins and some even went on the warpath with their husbands. This is an emotional story about a beloved pet. Love and loss and healing are lessons we all must learn. This story covers all three in a way that any child or adult can appreciate. I am impressed by the way Leyla Atke expressed the painful feeling of sadness, loss and guilt to finally acceptance and forgiveness and then love for a new pet. The loss of beloved pets is something every child and parent must face. This touching story can help in the process of acceptance and recovery.